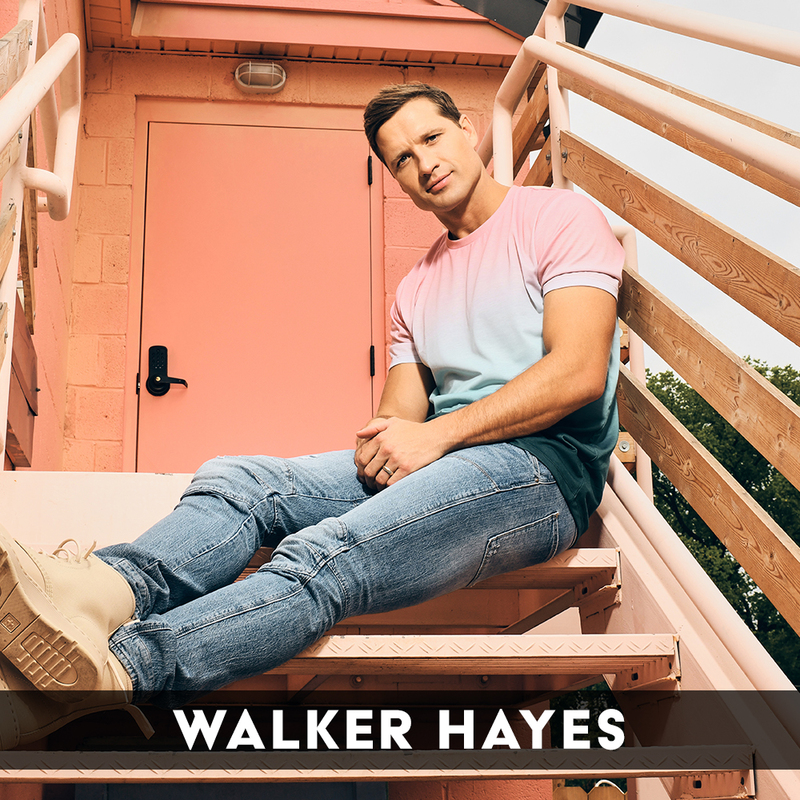 Inspired by music from all genres, Walker Hayes seamlessly blends elements of pop, rock, rap and country together, creating a fresh sound firmly rooted in his southern perspective. Born in Mobile, Alabama, Hayes grew up in a large blended family. Basketball, track and piano were his childhood passions, the latter being an interest that would turn from a hobby into his primary pursuit when he earned a music degree at Alabama’s Birmingham-Southern College. He finished his degree at the University of North Carolina in Chapel Hill. After discovering songwriting and penning a few songs himself, Hayes moved to Nashville eager to pursue a career in music. Within a year he had a record deal with a Nashville label and released music tailored for the popular tastes at the time. Shortly after a label merger he was released from his deal and was able to pursue his own unique sound. With no pressure, no demands, and nothing to lose, Hayes began developing his signature style. Lyric heavy and groove based, Hayes hunkered down in his writing "shack" at new publisher RareSpark Media Group and recorded hundreds of songs himself. These recordings caught the ear of Nashville hit maker, Shane McAnally, who immediately signed Hayes to his SMACK Publishing/Production house. Hayes released his first batch of work tapes entitled 8Tracks (Vol I) in May 2016. “Say Sober”, one of the 8Tracks, was featured on Spotify's New Music Friday Playlist and immediately charted on Spotify's Viral Chart. Another track, “Shades” was heavily featured on the nationally syndicated Bobby Bones Radio Show and proclaimed an early contender for Song of the Summer by Bobby himself. The 8Tracks are a collection of early worktapes that Hayes produced by himself in his shack while experimenting with sounds and lyrics. The idea of the release of this music was to make the 8Track collections free and easily accessible to new listeners. 8Tracks (Vol II) is currently in development for a late summer release. Concurrently, Hayes is in the studio with McAnally working on his first full studio album that will incorporate fully produced songs from the 8Tracks as well as unreleased original material.